Styled with trefoil legging . 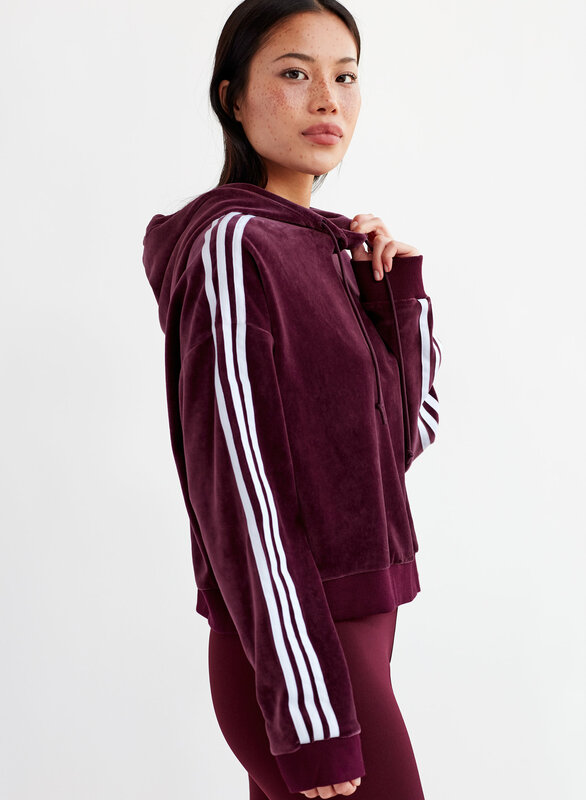 Elevate your sport-to-street look with this soft velour hoodie. 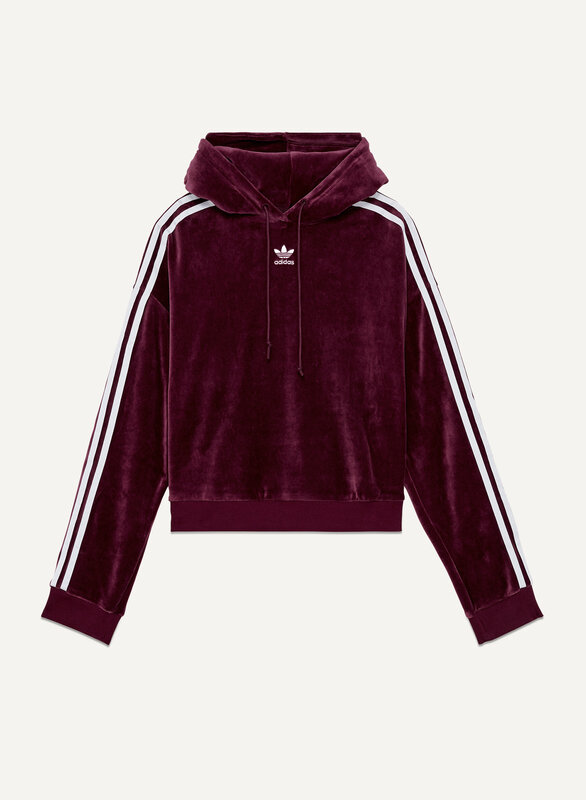 The super-plush fabric is set off by the classic adidas Trefoil logo and three stripe styling. 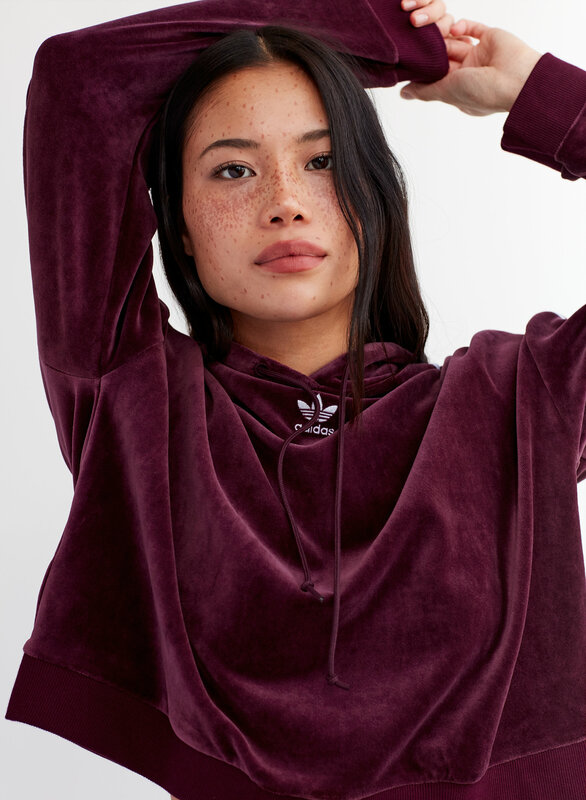 I reviewed the hoodie under the matching pants instead so check out my review there for this hoodie. The pants are great too and an XS works if you have my body type/measurements etc. 36 inch shoulders, 32 D chest, 27 inch waist, 36 inch hip. 5'3". 120 lbs- petite. Both the pants and the hoodie are great in XS! If you want a super baggy look get the small. Looks amazing! Great fit! It is a slightly looser so I am 5'2 and got an extra small, could have gotten XXS, but still love it. 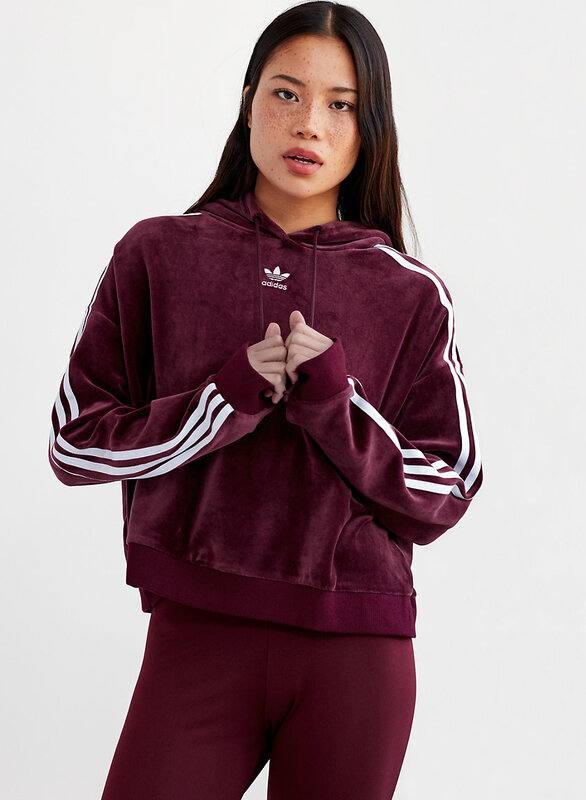 Actually bought the pants and hoodie, love it so cozy and the colour is perfect ! A little baggy but I haven’t washed it yet.